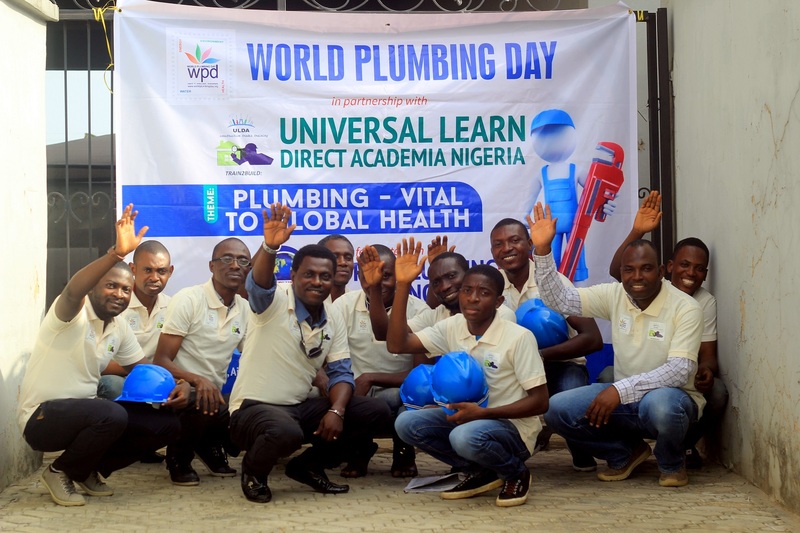 Around the world people came together to celebrate World Plumbing Day. Below is a recap of the activities, events and highlights that took place. At the Plumbing Industry Climate Action Centre (PICAC) in Melbourne, 300 attendees took part in a WPD event hosted by current Chair of the World Plumbing Council, Shayne La Combre. An Industry Forum focused on the theme “Participation, Practices, Products and Protection: The four pillars of plumbing” took place with several local industry participants speaking. A livestream of the industry forum is available on the PICAC Facebook page. An Apprentice Skills Contest along with a Trade Expo and luncheon was also held at the Centre. A YouTube video of the day is available to view in the sidebar. In Queensland, a Gold Coast plumber and a Brisbane apprentice were unveiled as the new Queensland plumbing ambassadors for 2018. The announcement was made in front of over 300 attendees at the World Plumbing Day Breakfast, which was hosted by the Master Plumbers’ Association of Queensland (MPAQ). The purpose of the plumbing ambassadorship program is to promote the trade across Queensland and encourage future generations to consider it as a future career path. The ambassadors chosen were David Keys, a Project Manager for Obsidian Plumbing and qualified plumber and drainer and Sarah Condie, who is currently completing her apprenticeship with Tradettes Plumbing. An event was hosted on March 10th at the Federation of Industries of the State of São Paulo (Fiesp) – the biggest class entity of the Brazilian industry, representing around 130,000 industries of various sectors – during the 6th Workshop for Plumbing Companies. The matter of workforce training was discussed at the Workshop, which gathered around 90 representatives of plumbing installations and gas industry companies, such as building experts, engineers, architects, building companies, designers, installation companies and manufacturers among others. 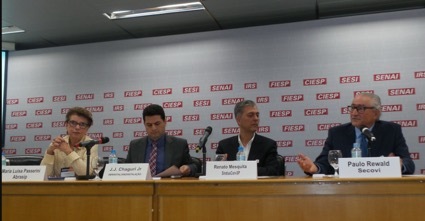 Abrinstal’s Executive Director and WPC Director, Alberto José Fossa, emphasized the importance of workforce training in Brazil in comparison with the other countries around the world: “Unlike other countries, such as Canada, United Kingdom, United States, Australia and India, Brazilian training and certifications are not mandatory for installers and the plumbing sector and training hours are shorter in comparison. In Brazil the best training available has 800 hours, while in some countries it comes to 4,000 hours. The training for gas plumbers in Brazil has a course load of 200 hours, while in the United States it comes to 1,400 hours and in India almost 600 hours”, said Mr Fossa. Mike Adamik Contracting Inc., in Dryden, northwestern Ontario, Canada prepared and mailed out information and activity packages to local elementary schools, containing the World Plumbing Council poster and “Plumbers are Superheroes” posters that Ann Adamik designed. Schoolchildren who completed the poster were given Ontario-made zipper pulls (in the image of a smiling poop emoji) and a cake was served on Friday, 9 March 2018, to highlight the day. 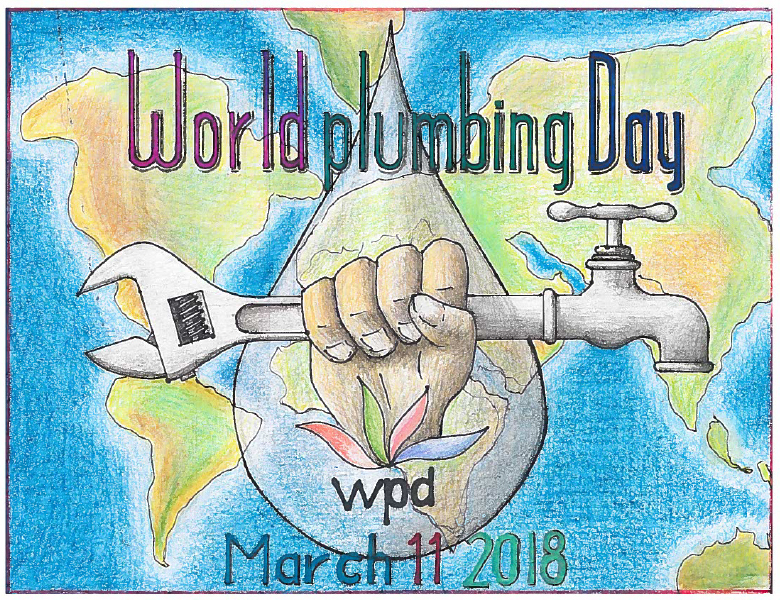 Mike Adamik Contracting used World Plumbing Day to educate their customers and the youth of the community about the vital contribution plumbers make towards health and the environment. 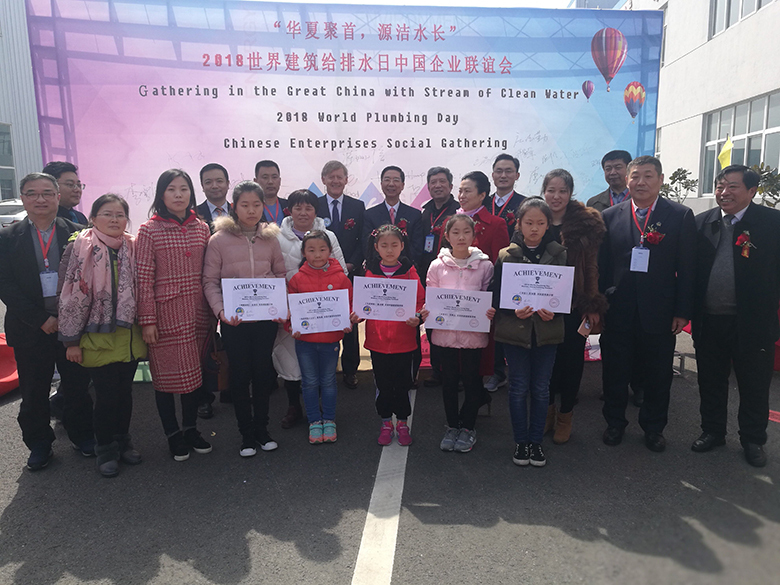 A celebration of World Plumbing Day and a gathering of the Chinese members of the World Plumbing Council (WPC) was held 10-11 March, 2018 in Hongze District, Huai’an City, Jiangsu Province China. It was truly a breakthrough event and very successful. The event began in the evening of 10 March with a banquet dinner at the Hongze Lake International Hotel that included songs and dancing. The morning programme on 11 March was held at the impressive factory of the Jiangsu Yuanjie Energy Saving and Environmental Protection Co. Ltd. 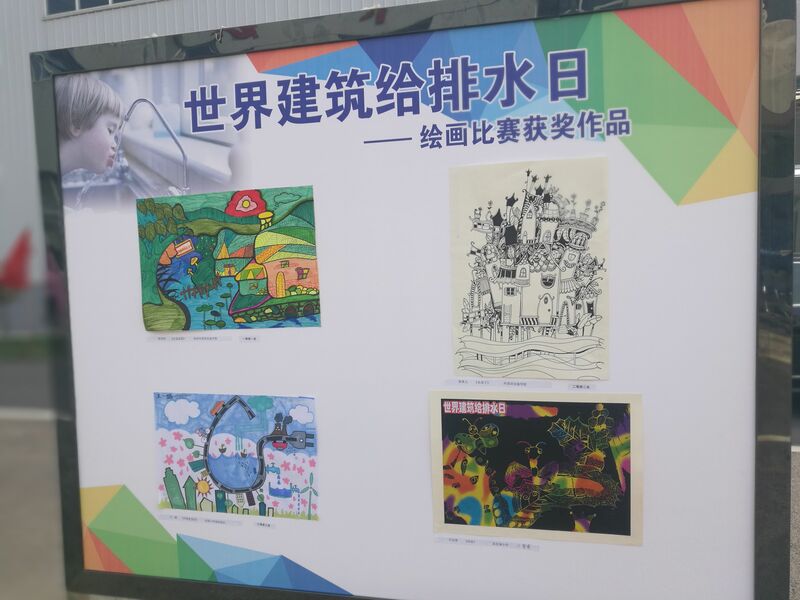 The programme included several speeches, awarding prizes to winners of a painting contest for elementary school students and a performance by the well-known Chinese singer and Global Environmental Ambassador, Ms Jiang Shenbei. The Huai’an World Plumbing Day event culminated in a superb dinner on a floating restaurant on the Hongze Lake. In summary, all those attending regarded the event as an outstanding success providing a strong foundation for future World Plumbing Day events and other World Plumbing Council activities in China. The Indian Plumbing Association organised a large range of activities all over India including 14 Technical Seminars, 7 Painting Competitions, 3 Poster Competitions, formation of two Student Chapters, 3 Blood Donation Camps, a toilet renovation and a Training Program for Female Plumbers among others. 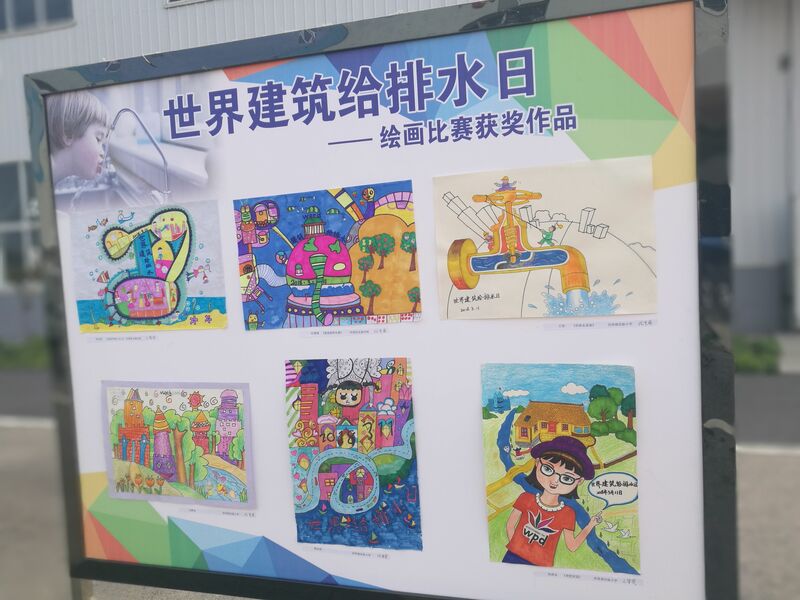 World Plumbing Day was celebrated during the course of the Community Plumbing Challenge Legacy Project in Cicau Village. 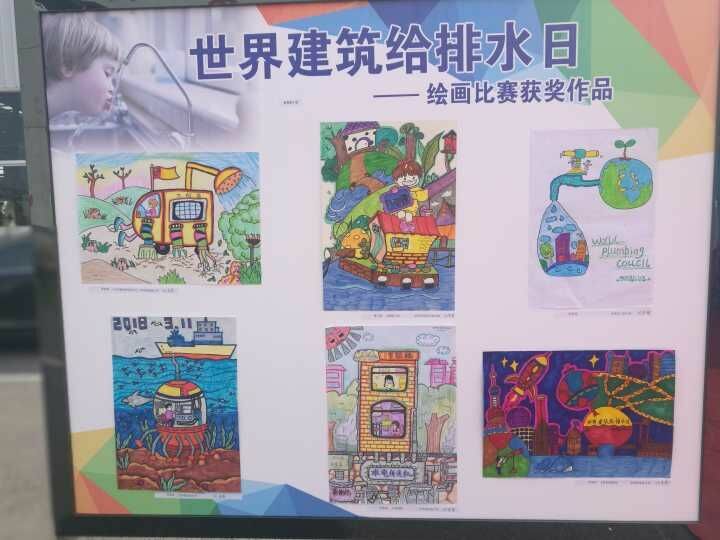 The school children from SDN School 02 took part in the IAPMO Poster contest and also spent time practising their handwashing technique and learning about clean water, health and sanitation. Newly joined WPC Member the United Skilled Plumbers Association (USPA), offered free plumbing estimates, installation, threading and cutting services to plumbing customers in Metro Cebu. 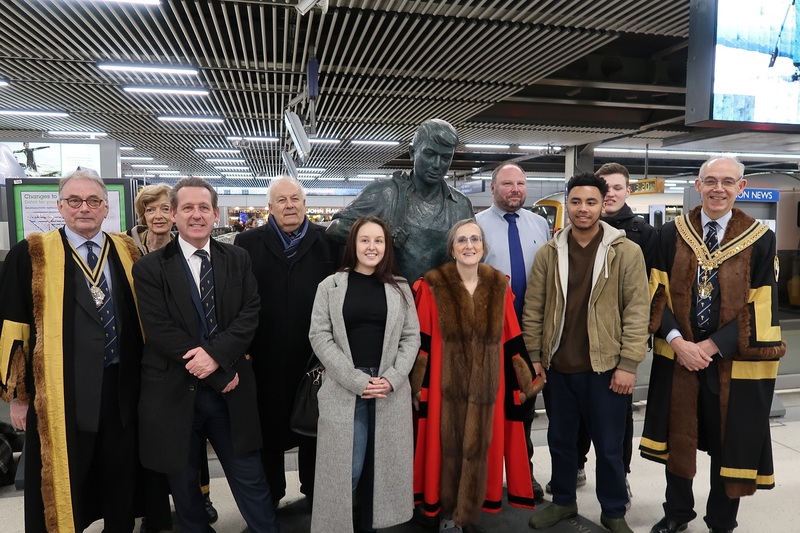 Past WPC Chairman and current Master of the Worshipful Company of Plumbers Robert Burgon, (far right) presented bursaries valued at £1,000 each to three students at the Plumber’s Apprentice statue at Cannon Street Station in London during World Plumbing Day. Others in attendance include sponsors and WCP representatives. World Plumbing Day – Europe Director Kevin Wellman, issued a press release urging the public to ‘celebrate our sanitary superheroes’ which was picked up by a number of industry news outlets.